Silicone roofing is a great option for property owners looking to get long-lasting, solid protection from the elements. If you live in an area where your roof has to battle rough weather conditions, applying a protective coating of silicone on your roof can help you save on costly roof repair and replacement jobs. Silicon adheres easily to a variety of surfaces and is a wonderful fix for plugging leakage, cracks, rust and broken seams in your roof. It can be applied easily to slopes as well as flat roofs. Note that application of silicone requires skill and expertise and must only be done by a qualified applicator. The technician applies liquid silicone using a brush or roller and leaves it to dry before applying the second coat. Some roofing companies use spray-coating equipment for uniform application. Whichever the coating technique, the goal is to achieve a perfectly sealed and evenly coated roof ready to weather the elements. Protection from water and harsh climate: Silicone not only waterproofs your property, it is an ideal solution for protecting a structure against seasonal changes in the local climate. Tough against UV rays: Silicone roofing systems are strong enough to withstand the harsh effects of the sun’s ultraviolet rays. Moreover, they are not easily damaged by hail and sandstorms. Mold-resistant: Unlike many other types of roofing, the silicone coating is highly resistant to mold and mildew. Durable: As silicone roofing systems are not prone to cracking or chalking from exposure to UV rays, they last longer and require less maintenance. Suitable for all surfaces: Silicone can be rolled or sprayed onto any type of surface, including concrete, metal and asphalt roofs. Ideal for flat roofs: Standing water left over from rain or hail can cause serious damage to a building’s core structure, a problem common in flat-roofed buildings. Silicone helps you get rid of this problem once and for all. Long-lasting adhesion: High-quality silicone roofing installed by qualified technicians will stay put for years to come, thus bringing down your maintenance and repair costs. Cost-effective alternative to roof replacement: By applying silicone coating, you can save both time and money on massive roof removal and replacement costs. 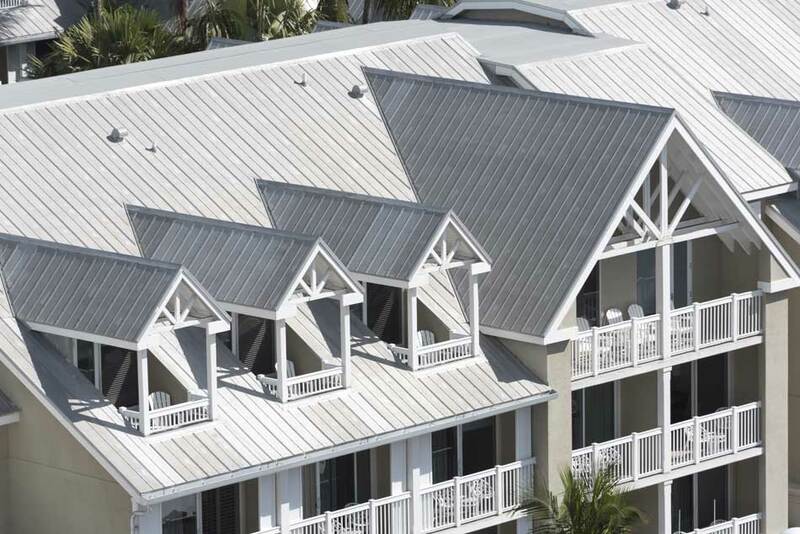 Silicone coating gives a weathered roof an easy, cost-effective and durable facelift. Energy savings: As silicone shields your building from extreme temperatures, it helps optimize energy consumption inside the premises, thus reducing your utility bills. Attractive: Silicon roofing increases your building’s aesthetic appeal as you can choose from a variety of different colors. The most important factor to bear in mind when looking for roofing companies phoenix is that silicone application is a specialized job that is best done by experts who have the necessary experience and the knowledge to guide you to a suitable and cost-effective roofing solution. While many roofing contractors claim to give you the cheapest commercial silicone roofing solution, excessively low quotes should be taken as an indicator of poor materials and even poorer workmanship. Your building’s roof is its protective shield, so choose a roofing company that’s known for its high-quality services.